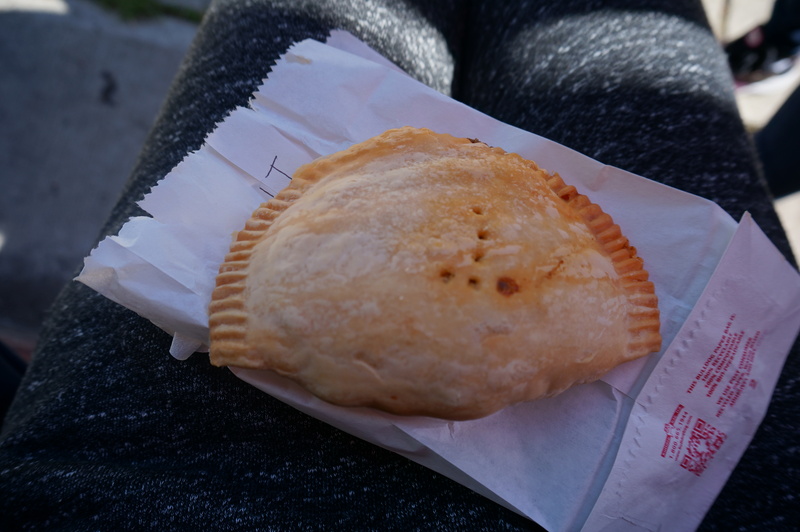 A couple of weeks back, my sister insisted that we should go try some Jamaican patties at The Patty Shop located in the Arbutus area. Since it was our first time trying Jamaican food, I was pretty ecstatic about trying something new that was beyond my culture. My opinions here would be based solely on my experience as a first timer. I honestly did not expect this place to be so far from where I live and I imagined this place to be a sit and dine café, but I was far off from it. 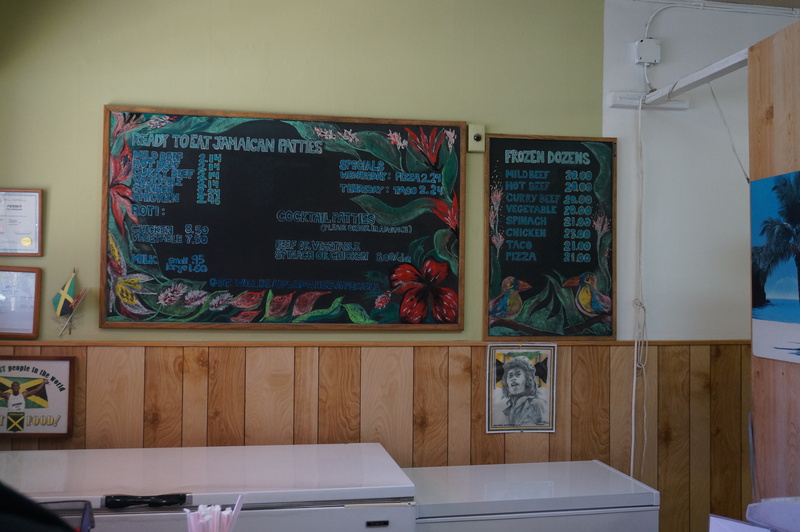 It is a tiny shop where you do take outs and buy frozen packages to heat up at home yourself. It was quite busy when we went, but the wait was not excruciatingly long. My sister got the Curry Beef Patty ($2.14) and I got the Thursday Taco Special ($2.24). The Curry Beef was slightly spicy. I wish there was more filling inside to compensate for the price paid for the pastry. The buttery shell was very flakey and delicate to eat. It is a type of pastry that you would just use your hands to hold and eat. I would not recommend getting the taco as it tasted just like a regular beef taco to me and it was not something spectacular that draw me back for more. The service was very efficient and we got to eat our patties steaming hot out of the oven. Personally, if you were to travel all the way here to try these little gems, I would suggest that you buy a few to make the drive worthwhile! Really?!! Sweet!!!! I don’t have to drive so far anymore! !